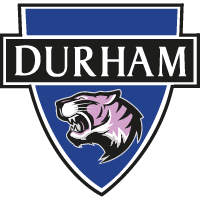 Megan Borthwick have lavished praise on her teammates after Durham picked up a 1-0 win over Everton. The young stopper played a pivotal role in the Wildcats' first-ever win over the Toffees but was keen to praise those around her after a disciplined display. "We've had a good weeks training and everything has clicked on the day. "The girls deserve all the credit, they've put a real shift in and deserve credit." "We just got on with it and didn't really let it phase us. "Obviously the wind in the second half wasn't the best, but again we just got on with it. "I couldn't be more proud of them." "For myself, I thought I did really well. "Taking a clean sheet is unbelievable - but I can't take the credit for that. "That's down to everyone in front of me. "I'm happy that we've done well and got the result that we wanted." "Obviously Aldo is a big miss and we got on really well, but if I can get some minutes I'm happy to do that. "If I can help the team, I'll go for it."